There is a degree of confusion about whether or not alcoholic drinks contain gluten. This confusion is not helped by the tendency for certain drinks, such as pre-mixed bottled cocktails, to change or substitute ingredients without making it clear that the drink may contain gluten. Which Alcoholic Drinks Are Gluten Free? 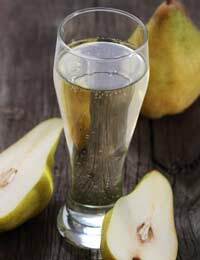 Just about every cider and perry (an alcoholic drink made from pears), plus most liqueurs and port are classed as gluten free. Some care should be taken when consuming sweet sherry and some fortified wines, though, as caramel colouring may be used to deepen the shade of these drinks and that can contain wheat starch. Normally the tiny volume of gliadin (the protein in wheat that triggers gluten intolerance) in caramel concentrate is too low to cause problems, but regular sherry drinking has been known to cause gluten attacks. Many liqueurs are totally gluten free. However, care should be taken with some that are called liqueurs but are actually mixed drinks, such as coffee liqueurs with mint, chocolate or cream flavourings. These drinks often contain emulsifying ingredients that are derived from wheat. Wine is almost always gluten free. Vineries in Australia and along the Baltic coast do use a form of wheat gluten as a ‘fining’ agent to take impurities out of their wine, but as the fining product is itself removed from the wine, it shouldn’t cause a problem. Surprisingly, spirits are gluten free as long as they are not ‘mixed’ after they have been distilled. Vodka is gluten free, for example, but vodka and cranberry may contain some hydrolised wheat protein. Malt whisky is gluten free, too – although many people believe it contains gluten, the ‘malt’ part of the whisky is entirely distilled out of the final product. Gluten-free beer has two forms: one is made from ingredients that do not have any gluten proteins, and the other is actually classed as a ‘low to no’ gluten beer. The former category is totally safe for all gluten-intolerant people. It will have been brewed from sorghum, millet, corn, buckwheat or unpolished rice, all of which have been used in brewing for thousands of years in areas where wheat is not naturally grown. These are called pseudo-cereals by many breweries who claim that their beer is not just safe for gluten-intolerant drinkers but also a new and delicious drink for any real ale enthusiast. Which Alcoholic Drinks Are Low In Gluten? Several famous beers are made wholly or in part from barley or rye. Their brewers claim they are safe for gluten-intolerant drinkers because the lower level of gluten proteins contained in these cereals are converted to safe amino acids by the brewing process. These low to no gluten beers do have their gluten parts per million (ppm) recorded and displayed on their labels, but the hordein (a gluten protein) in barley is not recorded by those tests and may trigger an immune system response in highly sensitive coelics. This means that people who drink low to no gluten beers may still need to record their level of consumption and tell their nutritionist, specialist or GP about their drinking behaviour. It may need to be factored into their diet and into regular investigations into their condition, as there can be concealed negative outcomes from consuming hordein in small amounts. Which Alcoholic Drinks May Contain Gluten? Obviously beers, lagers, ales and stouts contain gluten, as do many brands of barley wine, but these are normally ruled out of the diet of any gluten-intolerant individual. The big hidden risk here is cocktails. Many mixed drinks, whether mixed at source or in a bar in front of you, have concealed gluten. The major danger comes from ‘creamy’ liqueurs. Anything that you can’t see through is likely to have a hydrolised wheat component to thicken it and stop it separating, and that’s bad news for anybody who has a gluten intolerance. Many ‘alco-pops’ also use stabilisers to keep them flowing and stop the sugar separating out of the alcohol, and some of those stabilising ingredients may contain gluten. It’s not just the drink that can cause a problem. Some olives have been treated with a wheat compound to keep them plump, so watch out for those martinis. Similarly, avoid cheap glacé cherries, which tend to have a wheat compound added to them to ensure they remain pink.